According to his descendant Erbie James, Jerry M. Tootle (10 August 1877-8 March 1956) was a cooper, or barrel-maker. 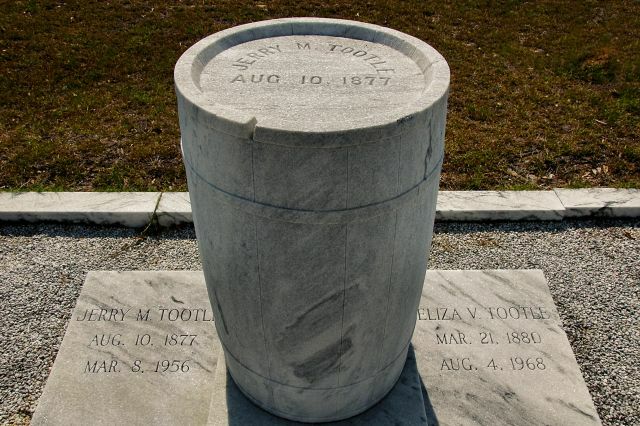 He and his wife Eliza V. Tootle ( 21 March 1880-4 August 1968) are buried here. 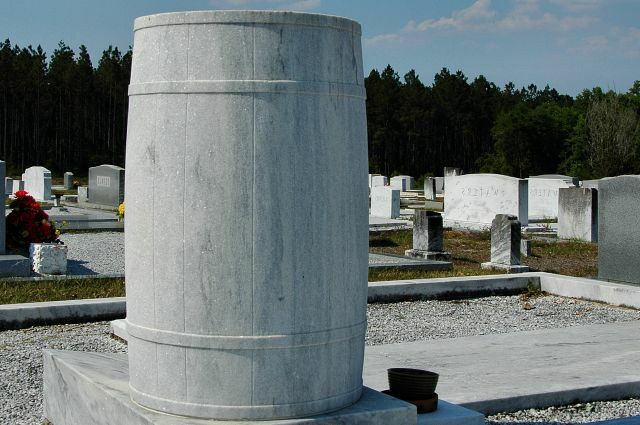 Their shared headstone at Harmony United Methodist Church is one of the most interesting occupational monuments I’ve seen. Very unique, Mr Tootle had a sense of humor !